Over two weeks go, I found myself in an old city. My decision to go to Charleston was spontaneous. That Friday evening a hotel room near town was booked and I was setting out on the journey the following Saturday morning. Although, the almost four hours on the road (due to traffic) was uneventful, my GPS turned me onto a one-way street going the opposite direction and a car honked me out of the road. Scary! So I checked into my hotel room, brushed my hair, and took the road toward the Aquarium. 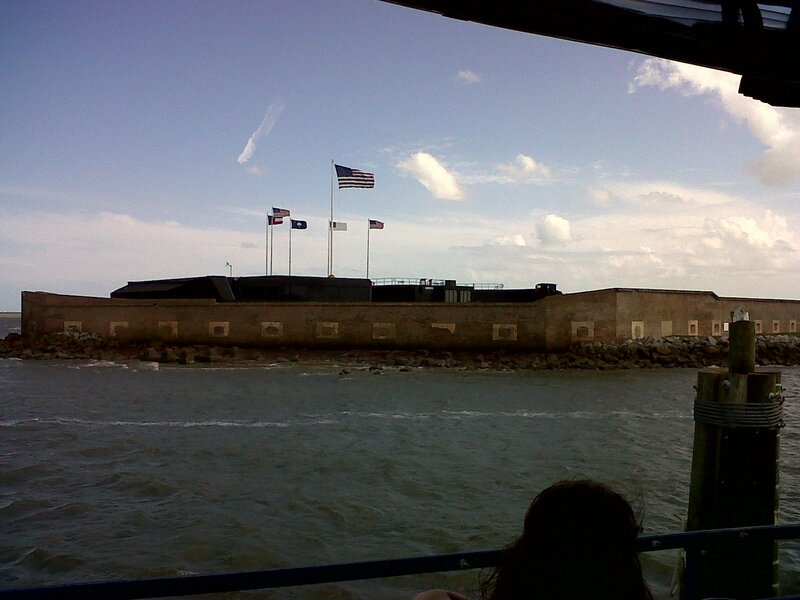 Right beside is a ferry ride to Fort Sumter. Missing the last tour for the day, I found my way to Hwy 17 and crossed the large bridge to Patriot's Point where I took the last ferry ride for the day. 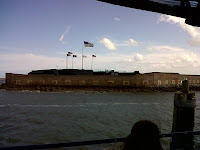 Then I toured Fort Sumter, touching brick that has been around since the Civil War. Amazing. 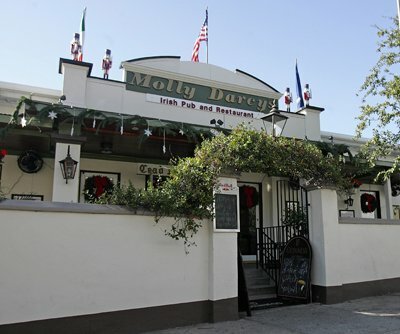 Later on that evening, after finding a parking place, I walked down the street heading for one of two Irish pub and grills located in the same building. 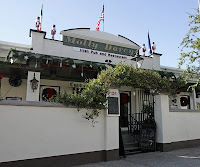 I heard music playing from an upper terrace and chose Molly Darcy's. I ordered a pint of Guinness and corned beef and cabbage. Soon I discovered the musician was a Dublin, Ireland native. He'd only been in town for four weeks and he loved Charleston. Then one pint turned into two. The food was delicious. 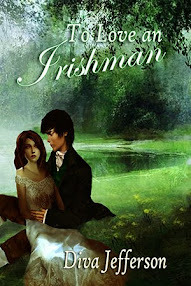 I told the Irishman that I'm a writer, my book takes place in Ireland, and he told the owner who said he'll buy it for his wife. I exchanged email and phone numbers with the musician and the owner. I thought the night couldn't get any better! Two pints turned into four before my eyes (thanks to my flirtatious waiter whom insisted he accidentally poured another). I was introduced to a man who shares my ancestral last name of Foley. He told me we are from the mountains of County Kerry. So we all sang Irish ballads with fuzzy minds, stood with hands on our hearts for the Irish anthem and laughed all the while. I couldn't imagine a better time or place for anything. I felt renewed, spirited. Wonderful! But the night ended too soon. The next day I found myself waking early for free breakfast and to check out of my hotel. I went on a carriage ride through the city. I felt at peace for almost two hours as the clicking hooves went up and down the narrow streets and the Irish tour guide told us of a life lived long ago. Next, I found myself parking on Queen Street and I walked for over a mile to the museum. I bought a three ticket pass to the whole history museum and two houses. 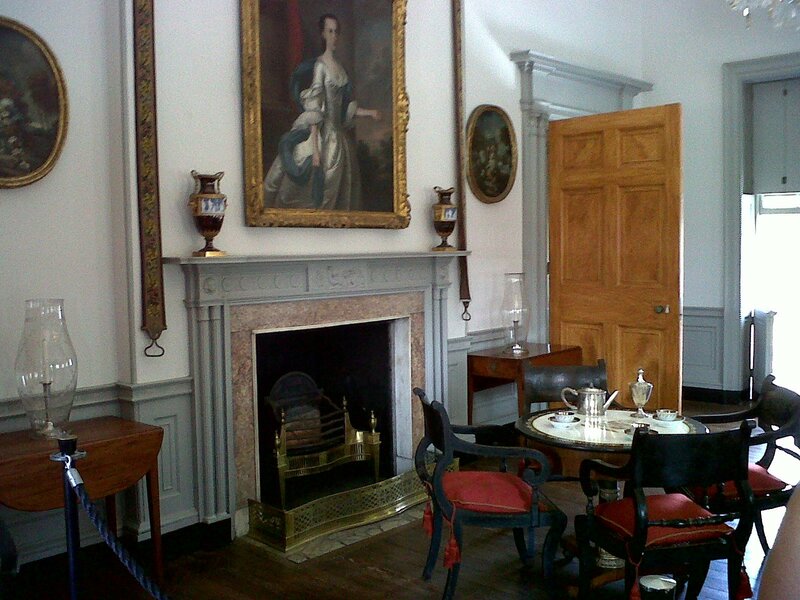 I spent almost two hours reading texts, admiring early furniture, and gawking at Civil War period clothing styles. 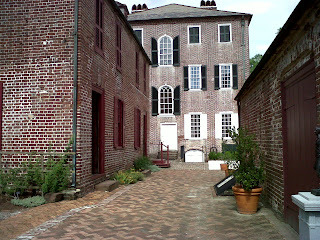 Across the street was the Joseph Manigault House. The architecture and style was attributed to its 18th century elegance. Beautiful furniture and decorations elaborate the interior with ambiance. Definitely a must-see attraction. 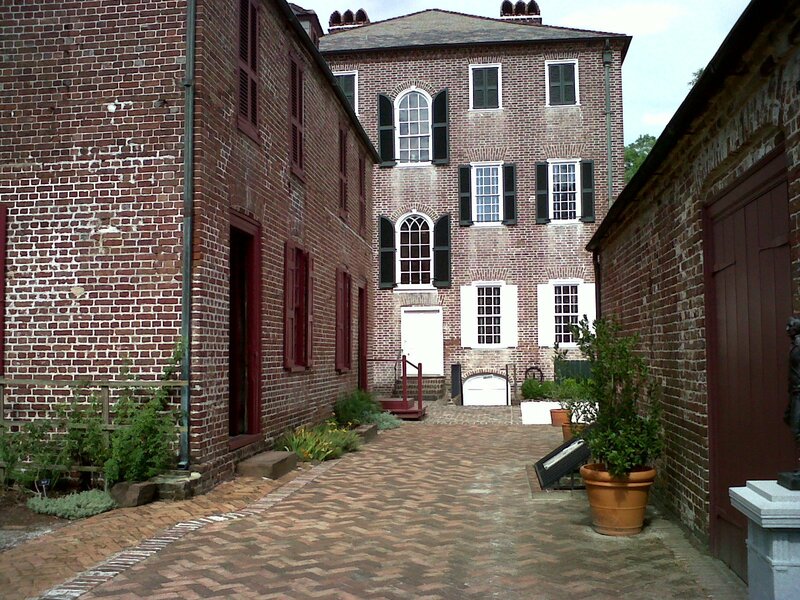 Near my car, the Heyward-Washington House was hidden on a backstreet. It's beautiful exterior took my breath away. After all, I do have an affinity for Georgian architecture. Sigh. The return trip home was very sad, indeed. Sometimes life steps in and tells you where to go. 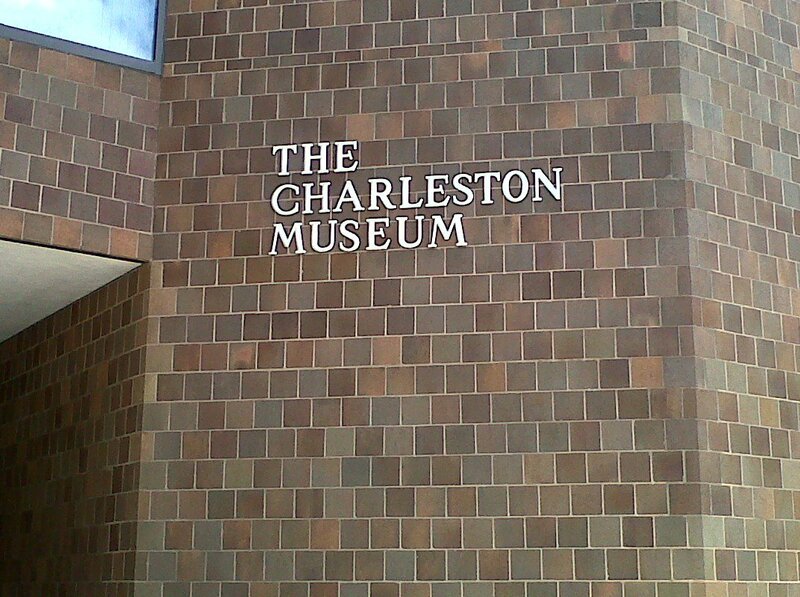 My decision to go to Charleston was too spontaneous to believe otherwise. It's like the publishing world. Every time you turn around, there is something new to learn or to experience and sometimes it happens so fast you don't know where you started. Red flags are never spelled out in easy terms. You have to do your homework and research every thing about the industry. I'm anxious to receive my 2nd round edits. It took me almost a month to complete the first and that was no easy task. Everything takes time to come to fruition. Dreams are made to be worked for. Make sure where ever life leads you, you are well-prepared for whatever comes. You never know, you could be having the time of your life drinking pints and singing with a group of Irishman in Charleston. Never give up on life. You never know where you will end up next!